Basically this is a laptop device that is decked out in eye-catching red livery and is definitely not a product that will easily be overlooked. Is it a laptop? Or is it a tablet? 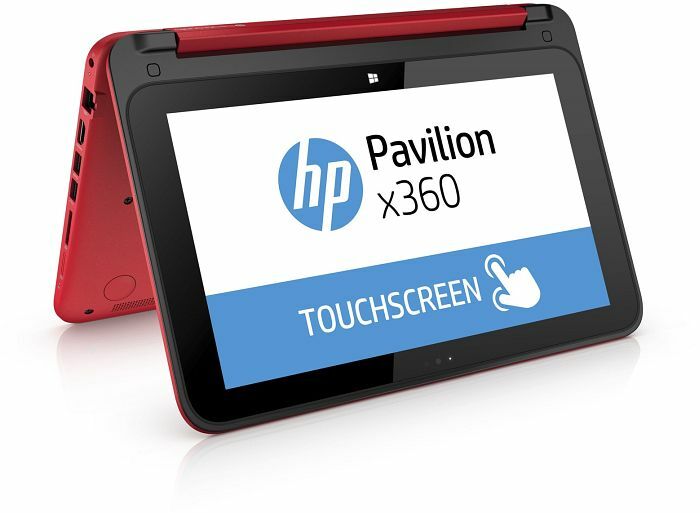 In fact the Pavilion 11 x360 PC is a hybrid as it combines the look, feel and functionality of a laptop with that of a tablet through its screen capability to swivel through 360 degrees, hence the x360 part of the product’s title. When it comes to browsing just a couple of websites at a time, writing email, producing documents and playing casual games, the x360 provides a smooth user experience. The laptop has 4GB of RAM and a generous 500GB hard disk, which gives you loads of space for all the media you'll want to take around with you. At £349, the x360 is much cheaper than most lightweight laptops and looks great. However, although it looks dull by comparison, the Budget Buy-winning Acer Travelmate B113-M is £50 cheaper and much more powerful; if you're not fussed about a touchscreen, the B113 is a better choice for a low-cost laptop. 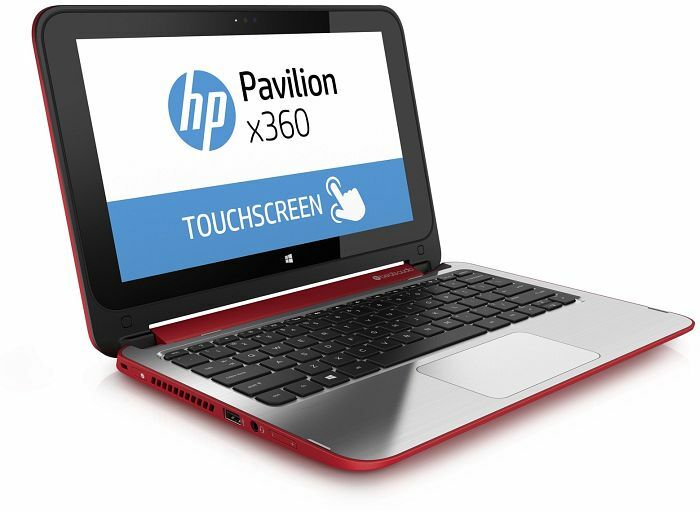 The HP Pavilion 11-N000eo X360 belongs to the Pavillion 11 series and is a hybrid notebook and tablet. 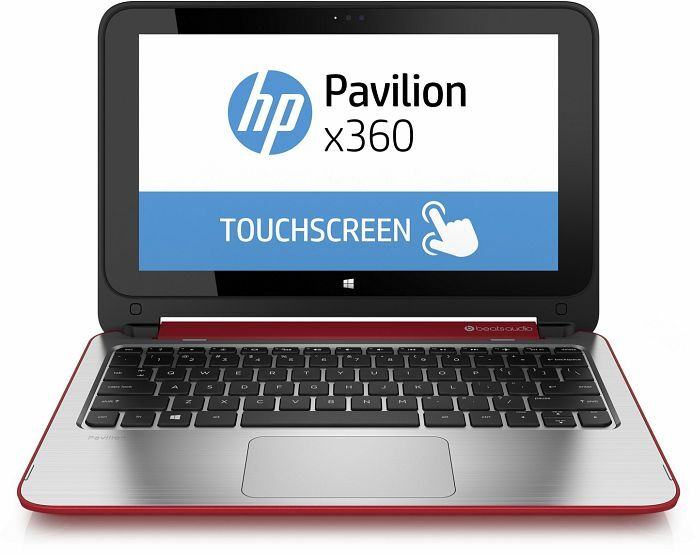 The Pavilion X360 has an attractive red or silver lid and base. It feels sturdy to hold and has an adjustable hinge that allows users to turn it 360 for various modes. 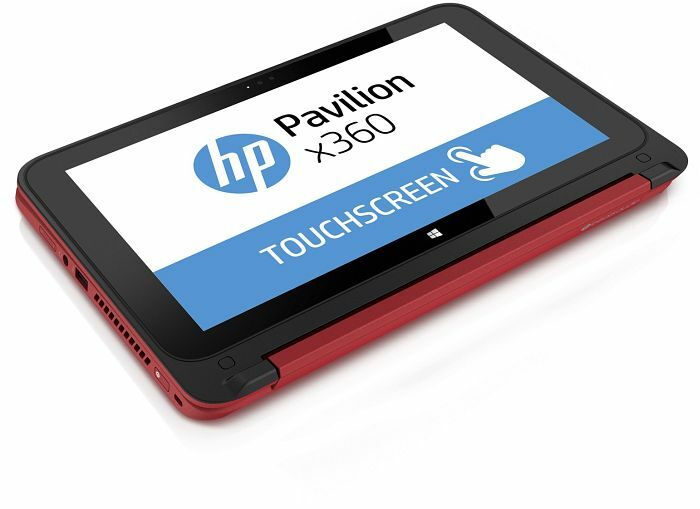 The 10 point touch screen allows the Pavilion X360 to work well in notebook mode, stand mode (keyboard face down on the table), tent more (central hinge facing the sky) and tablet mode. 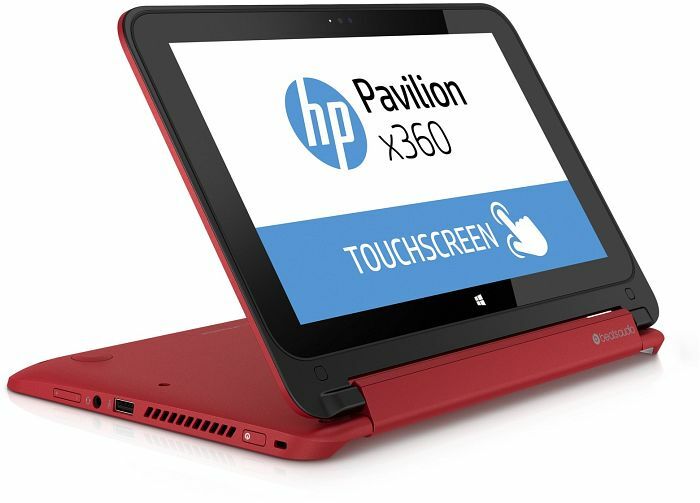 The Pavilion X360 weighs around 1.4 kg, is 11 inches as the name suggests and only 2.2 cm thick. Its display with a resolution of 1366 x 768 is disappointing because of dim colors and sub-par lighting. 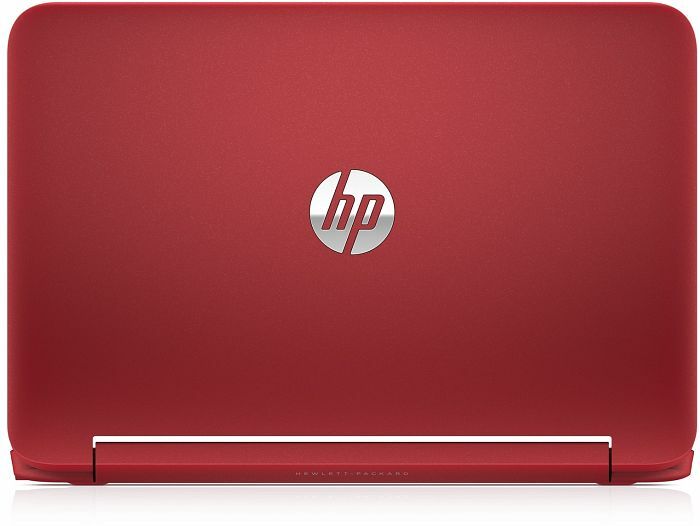 The hybrid features a quad core Intel Pentium with HD graphics and 4 GB of RAM. So, it can run basic software without an issue but not much else. 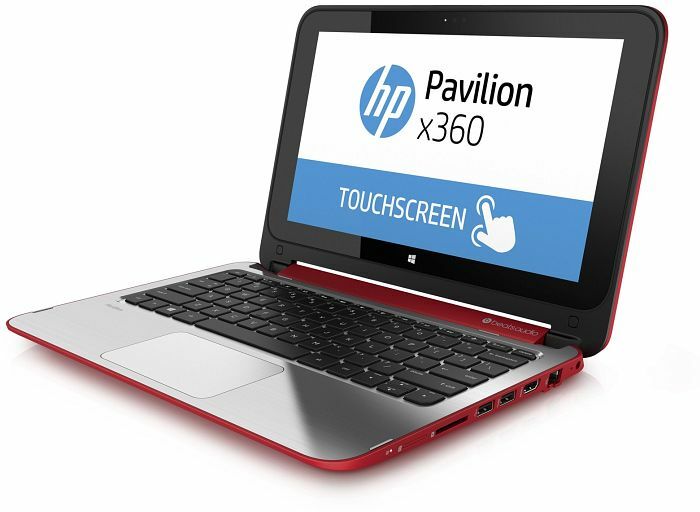 The Pavilion X360 boasts a Beats sound system, but performs only decently. In addition, the keyboard does not feel too comfortable to use. Since only undemanding programs run on this laptop, its energy demand is low. So, there will not be heating or noise issues. Its battery only lasts up to six hours. 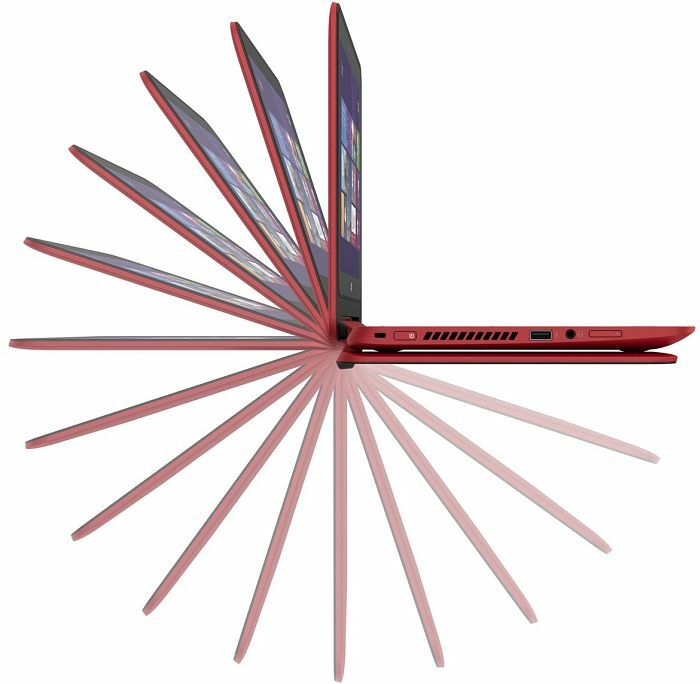 So, the X360 cannot compete with other hybrid laptops like the Lenovo Yoga 2 or Asus T100TA, which last seven hours and twelve hours respectively. 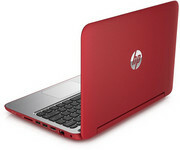 Intel HD Graphics (Haswell): In the mobile Haswell Celeron and Pentium integrated processor graphics card. The HD Graphics is the slower, GT1 called, part with less execution units (EUs). Non demanding games should be playable with these graphics cards. » Further information can be found in our Comparison of Mobile Graphics Cards and the corresponding Benchmark List. N2820: Soc with an integrated dual core Atom processor clocked at up to 2.4 GHz and an Intel HD Graphics GPU.» Further information can be found in our Comparison of Mobile Processsors. 56.67%: Such a bad rating is rare. There exist hardly any notebooks, which are rated worse.